This review is about item#9353741. We use groove machining on flat plate material to prevent leakage between members. I can be sure that the desired airtightness is secured and I am satisfied. This review is about item#9354177. I have not used it yet, but it looks good. After that, how durable is it? I think. This review is about item#9353757. This review is about item#9353863. 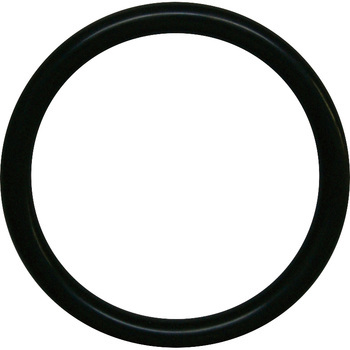 I think that it is durable and it is sufficient level as O ring. It is a repeat. This review is about item#9353775. I was thinking that I could purchase it for the first time this time, smoothly completed construction with the product as ordered, will continue to use. This review is about item#9353854. I used it for oil leakage repair of VVT-i cam of Toyota Mark II (JZX 100). It is a repair by removing the bolt which should not be removed, but there was no problem. Since repair is prohibited by the manufacturer, please take responsibility at your own risk. This review is about item#09353872. This review is about item#9353723. I bought it with a wire diameter of 3.1 mm, but what I received did not match the device, and the wire diameter was 2 mm when measured with a vernier caliper. I necessarily bought a NOK one again. NOK items fit perfectly. I do not know whether manufacturer's quality control problem or MonotaRO inventory management problem, but I want improvement. This review is about item#9353811. This review is about item#09353757.